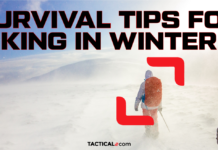 As a basic survival need, fire is essential in keeping your body temperature at a normal level. Temperatures tend to drop drastically at night, especially in temperate climates. In the US alone, hypothermia accounts for around 1,300 deaths each year— so starting a fire (and keeping it going) is an invaluable skill. Without fire, you can’t cook food or boil water to make it safe for consumption. Fire is also a source of light and keeps animals away from where you’ve set up camp. You don’t want to be caught in a situation without knowing how to start one. Modern-day conveniences have taken away the need to actually build a fire from scratch. We simply flip a switch or turn on a stove and it comes right on. 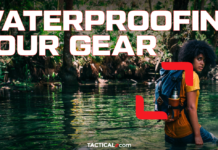 It’s not so easy when you’re in the wild or worse, when SHTF. There are three things you need to start a fire: Oxygen, heat, and fuel. These three make up the “combustion triangle” and a fire can’t keep going without one or the others. Oxygen is obviously found in the air. Heat can be produced through friction, like rubbing sticks together or striking a flint. Fuel can be anything that keeps the fire burning, like tinder and kindling. Tinder is any substance that would easily combust— so it’s usually dry and fibrous. It’s meant to catch fire quickly and keep burning long enough for you to feed kindling into your fire. Kindling is slightly larger than tinder and is meant to keep the fire going long and hot enough for you to feed larger pieces of wood into the fire. With kindling, it’s important to start small— each layer that you put into your fire should ignite the next. Using too large pieces of kindling can smother your fire. You should be able to snap kindling with your hands, so they’re usually around the diameter of a match, but no larger than a pencil. Like tinder, you have to make sure that your kindling is dry. If a branch bends but doesn’t snap, that means it still has some moisture within and is not ideal for kindling. Now that you know the basics, you’re ready to start a fire. Starting a fire with the use of modern tools is fairly easy when done right. This can save you lots of precious time and energy. Matches are commonly used to start a fire. However, they can easily get wet or damaged so it’s pretty handy to know how to make them waterproof. You can also make your own firestarters at home. These catch fire faster and can burn much longer than matches. 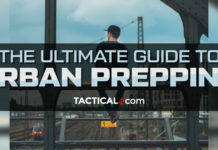 Of course, you most likely have a commercial firestarter in your emergency kit or bug-out bag. It’s the fastest, most convenient way to produce a spark and get your fire going. At this point, all you’ll have to do is to lay your fire properly and you’re good to go. In the very real chance that you don’t have any modern tools to get a fire going, you will have to start one from scratch. This could be daunting for a beginner, especially in wet or cold conditions. The trick here is to know what materials to use and how to use them properly. Getting this first part right would ensure your success in making a fire. Moisture is your worst enemy in fire starting. In any case, you’ll have to make sure that you’re working with really dry materials. One of the most common methods is starting a fire through friction. The goal is to generate enough heat by rubbing two pieces of dry wood together to produce embers that would eventually start your fire. There are many ways to do this, but they all have the same elements: a spindle and a fireboard. A spindle or drill is the elongated piece of wood (usually a stick) that you spin or rub against a fireboard to create embers. A fireboard is the bottom part where the coal is formed. A tinder nest catches the embers and is placed with the kindling. From there, you can create a big, healthy fire. The bow and drill method is one of the most effective ways to build a fire through friction. The use of the bow and a handhold in addition to the spindle and fireboard ensures that you can get consistent speed and pressure to produce embers. The bow can be made using a flexible stick and a sturdy piece of string (like your shoelace). A handhold can be a rock or another piece of wood that goes on top of the spindle. Above you’ll see a detailed tutorial on how to create fire using the bow and drill method. There are also other unconventional ways to start a fire— and you can use basic household items like reading glasses, batteries and aluminum foil to achieve this. 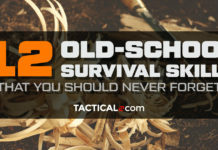 Like every useful survival skill set, constant correct practice makes perfect. Keep practicing and improving your firestarting skills and you’ll quickly move on from being a beginner to an expert in no time.